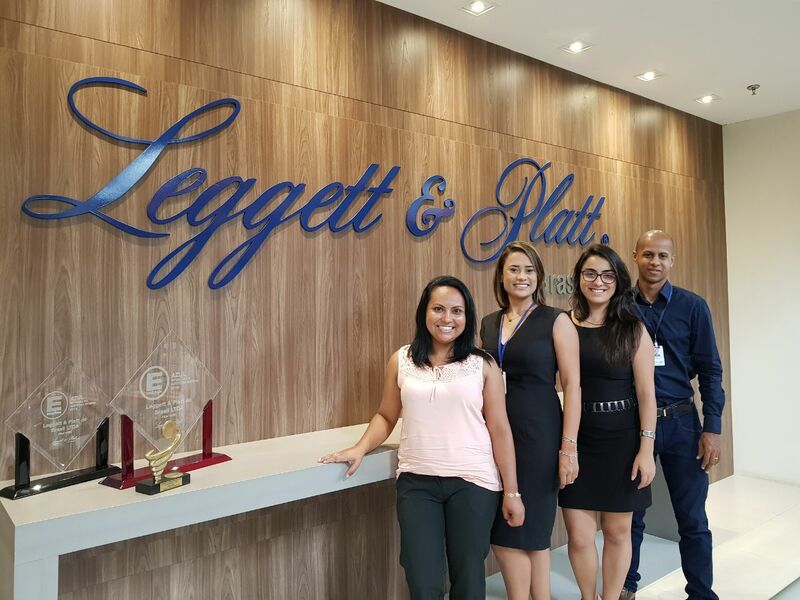 Business for Leggett & Platt Brazil grew an impressive 37% in 2017. While many factors likely contributed to the increase, it’s no surprise that a commitment to quality and great service helped distinguish this bedding operation from its competitors and kept customers coming back. Over the past two years, Gustavo and his team have transitioned to a more proactive customer service strategy. The customer no longer makes the first move because the Customer Service team actively engages customers to ask, ‘What can we do for you?’ This shift in strategy not only enhances the customer experience, but it also builds long-term trust and loyalty between L&P and our customers. A strategy can only be well-executed within the right culture and by the right people. Gustavo has worked to cultivate a superior customer service culture by hiring the right employees, setting goals, holding them accountable, and rewarding them when goals are achieved. “We have a fantastic team. Although it’s been a long road to establish the culture, we’re proud to prioritize customer service across all roles and departments,” Gustavo explains. L&P Brazil’s Customer Service team from left to right: Gilvania Maria, Marília Prado, Fernanda Christina, and Edson Malta. The Customer Service team, for example, consists of knowledgeable and experienced employees who establish targets and work diligently to meet them. They also meet weekly with management to remain fully engaged in the business and have an opportunity to voice concerns or contribute ideas.